SEJ's 28th annual conference, October 3-7, 2018, took place at the Riverfront Conference Center in Flint, Michigan, hosted by the University of Michigan-Flint. 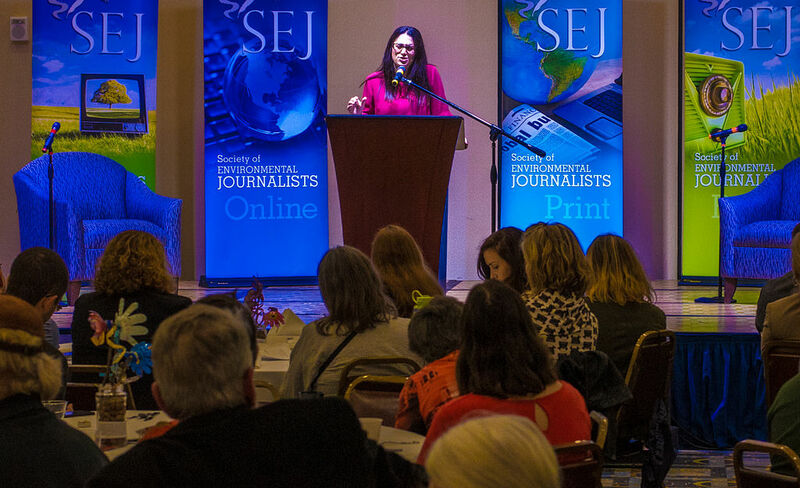 Below, you'll find multimedia coverage provided by SEJ, volunteers and conference attendees. NOTE: Most sessions were audio-recorded and are being posted below as they become available. Panelist Furr-Holden on the Flint Water Crisis. SEJ's members-only Facebook discussion group. Follow the @SEJournalists account on Instagram. 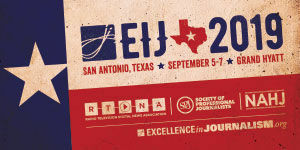 Please use the hashtag #SEJ2018 for Instagram, Twitter, etc. Public SEJ Flint 2018 Flickr conference photo group, where you can upload/share your own conference photos. Photo slideshow on the Whova app. See a list of all the coverage stories here. It's critically important to SEJ to gather evidence on the impact of our work. So we're tracking stories inspired by or informed by our conference in Flint. 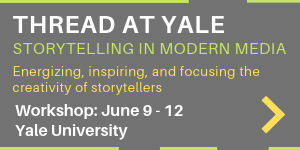 The stories don't have to be about Flint; they can be based on sources or ideas you got from being at the conference. Please help us to keep SEJ strong and share links, photos, copies of reporting generated or informed by this conference. Send your story links to Cindy MacDonald, SEJ's Web content manager. It's never too late. Please send yours! "Telling the video story: Scatter visual breadcrumbs, keep the camera steady and shoot from the heart," NiemanStoryboard, October 25, 2018, by Mary Ann Colihan. "Warming winters in the Midstate, how it affects recreation," WHTM-TV (Harrisburg, PA), February 8, 2019, by Dan Tomaso. "Extreme weather swings of 2018: Record setting warmth and snow storms in the Midstate," WHTM-TV (Harrisburg, PA), February 8, 2019, by Dan Tomaso. "Scientists: Time running short before climate change effects are 'irreversible'," ABC News-Washington, October 8, 2018, by Stephanie Ebbs. "Metro Detroit forecast: The See-saw continues," WDIV-TV Channel 4 (Detroit), October 4, 2018, by Paul Gross (scroll down to heading "SEJ 2018"). © Photo courtesy of Dale Willman. Click to enlarge. Audio file of UM-Flint Chancellor Susan Borrego (00:07:29 / 2.6MB). "Contaminated fish threaten human health in U.S., Chile," Knight Center for Environmental Journalism, Michigan State University, December 10, 2018, by Rocío Cano Muñoz. "Flint water story embodies crises of lost democracy, Hanna-Attisha tells national journalists," East Village Magazine, October 4, 2018, by Jan Worth-Nelson. Audio file (01:09:10 / 23.8MB). "Car culture revolution spreading to Muncie," Muncie Star Press, February 15, 2019, by Seth Slabaugh. "Gas-burning cars and trucks will be left behind, futurists of SEJ panel predict at Factory One," East Village Magazine, October 16, 2018, by Harold C. Ford. "Book Review: David Buick's Marvelous Motor Car by Lawrence Gustin," East Village Magazine, October 13, 2018, by Harold C. Ford. Tour 1, The Last Good Country: Lush Forests and "Holy Waters"
"Raising a voice for the Au Sable," Knight Center for Environmental Journalism, Michigan State University, December 17, 2018, by Sara Alfaro Cornejo. "Ohio’s watershed moment: How to fix Lake Erie algae," Grist, November 12, 2018, by Maria Gallucci. "We're probably undervaluing healthy lakes and rivers," Science News, October 4, 2018, by Laurel Hamers. Tour 3, Canada's Chemical Valley: From Toxic to Green? "A Fracking-Driven Industrial Boom Renews Pollution Concerns in Pittsburgh," Yale E360, March 21, 2019, by Nick Cunningham (inspired in part by attending this tour, "which got me thinking about the planned petrochemical hub in Appalachia"). "Natives in "Canada's Chemical Valley" hope for environmental change," WQAD News 8 (Moline, Illinois), October 9, 2018, by Eric Sorensen (includes several photos). "Experts decry weak pollution standards for local industry," The Sarnia Journal, October 7, 2018, by Cathy Dobson. Tour 4, The Shape of Water... and Milk and Beer! "Digesters Growing with RNG: Renewable Fuel Credits Sparking Growth in Livestock Digesters," DTN/The Progressive Farmer, October 29, 2018, by Chris Clayton. Photo: msstrangercat/Flickr CC BY-NC-SA 4.0. Click to enlarge. Many photos of this tour, by msstrangercat, are posted on SEJ's Flint Flickr group page. Tour speaker Dolores Leonard holds up the analysis the community did with the TRI data and community monitoring station. © Photo courtesy of Adam Reinhardt. Click to enlarge. "The "original sin" of air quality regulations is keeping communities polluted. But that's changing." Environmental Health News, January 7, 2019, by Meg Wilcox. "C'mon Along In A Self-Driving Vehicle, To See If The Future Is Just Down The Road," WUWM Milwaukee/NPR, January 3, 2019, by Chuck Quirmbach. "Self-driving vehicles getting tested to improve car safety" (video), The AccuWeather Network, November 2, 2018, by Cheryl Nelson. "Don't Park in the Green Zone? Do SoCal's waterfront developments have enough open space?" The Log, November 8, 2018, by Parimal M. Rohit. "1,600 days on bottled water: Flint still swamped by water woes," Pittsburgh Post-Gazette, October 20, 2018, by Don Hopey. "Flint Legionnaires' Disease Survivors Speak Out: 'Every Day Is a Challenge'," Rewire.News, October 15, 2018, by Auditi Guha. "Is the Flint Water Crisis Over?'" The Allegheny Front, October 12, 2018, by Kara Holsopple and Reid Frazier. "Flint residents eye innovative solutions for the future as they try to move beyond the water crisis," ThinkProgress, October 5, 2018, by E.A. Crunden. Audio file (01:07:56 / 23.3MB). "How Phoenix Is Working to Beat Urban Heat," Scientific American, February 13, 2019, by Keridwen Cornelius: "I just had a story published on Scientific American's website that I originally pitched in the pitch slam session at the Flint conference. I hadn't even intended to pitch anything because I thought, 'We have to pitch in front of an entire room and a whole panel of editors? It has to be the most amazing story idea ever!' But when I saw that only two people had signed up to pitch at that point, I decided to totally wing it, and the editors liked it! It's always a good idea to be bold." Audio file (01:10:55 / 28.4MB). "The Scientist as Civic Partner," Medium, November 6, 2018, by Louise Lief. Audio file (01:12:42 / 29.1MB). Audio file (01:10:04 / 28.1MB). "Native American stories require time, relationship-building," Knight Center for Environmental Journalism, Michigan State University, October 23, 2018, by Whitney McDonald. Concurrent Sessions 1, WATER, Water Wars or Water Peace? Audio file (01:17:15 / 31.0MB). Concurrent Sessions 1, ENERGY, Natural Gas and Climate Change: What's the Real Story? Audio file (01:09:20 / 27.8MB). Audio file (01:10:31 / 28.3MB). "Covering the urban environment in four steps," Knight Center for Environmental Journalism, Michigan State University, October 20, 2018, by Anntaninna Biondo. Concurrent Sessions 1, GLOBE, Cutting the Crap: Is Reducing Waste the Key to Tackling Climate Change? Audio file (01:12:41 / 29.1MB). "What to do about the things we cannot control," The Michigan Daily, October 21, 2018, by Julia Montag. Audio file (01:00:27 / 20.8MB). "Donald Trump's science: Climate change policies cause heated discussions at SEJ Conference," Science, Health and Environmental Journalism at Mizzou blog, December 19, 2018, by Kassidy Arena. Audio file (01:18:45 / 31.6MB). As a result of inspiration and advice gleaned from this freelance session: "Cedar Key clam, oyster farmers put harvest on hold for Hurricane Michael," The Gainesville Sun, October 9, 2018, by Max Chesnes. Concurrent Sessions 2, CLIMATE, Election 2018: Climate Change Reversal? Audio file (01:03:07 / 25.3MB). "Analysts Forecast Midterm Election’s Impact on Climate Change," Eos/Earth & Space Science News, October 11, 2018, by Randy Showstack. Concurrent Sessions 2, ENVIRONMENTAL JUSTICE, Diversity Within Environmental Groups: Has Anything Changed? Audio file (01:11:02 / 28.5MB). "Diversity in environmental organizations is improving, with still a long way to go," Environmental Health News, October 5, 2018, by Kristina Marusic. Audio file (01:17:06 / 30.1MB). "Residents, experts tell Pennsylvania officials that PFAS chemical cleanup will be expensive and difficult, but it's time to act," Environmental Health News and PublicSource, November 30, 2018, by Kristina Marusic and Oliver Morrison. "Hundreds of thousands of Pennsylvanians have been exposed to dangerous PFAS chemicals, including around Pittsburgh’s airport," PublicSource, November 27, 2018, by Oliver Morrison. "Minnesota has fought PFAS for years. Here’s how its plan can help Michigan." Bridge | Michigan Environment Watch, October 17, 2018, by Jim Malewitz. "Why hasn't Michigan set PFAS limits for drinking water yet?" MLive | Grand Rapids Press, October 17, 2018, by Garret Ellison. Audio file (01:15:13 / 30.2MB). Audio file (01:18:10 / 31.3MB). Audio file (01:12:18 / 29.0MB). Audio file (01:14:50 / 25.7MB). "Tips for writing great sharelines," by panelist Michelle Bloom. Audio file (01:16:15 / 30.6MB). Audio file (01:09:42 / 23.9MB). "Flint to the World: Water is a Human Right," People's Tribune Latest News, November 7, 2018, by Bob Lee. Audio file (01:06:23 / 22.8MB). Audio file (01:10:53 / 24.3MB). Concurrent Sessions 3, NATION, The War Against Plastics: Who's Winning? Audio file (01:18:01 / 26.8MB). "The War on Plastics: Who’s Winning?" Science, Health and Environmental Journalism at Mizzou blog, December 27, 2018, by Danielle Pycior. Comments of Panelist Faye Park. Audio file (01:09:19 / 23.8MB). This session was not audio-recorded. Concurrent Sessions 4, THE CRAFT 2, Unheard Voices: Would They Have Mattered When the Flint Story Broke? Audio file (01:17:33 / 26.7MB). Audio file (01:12:57 / 25.1MB). Audio file (01:09:15 / 23.8MB). Audio file (01:09:23 / 23.8MB). Audio file (01:11:49 / 24.6MB). "Tom is joined by author/filmmaker/environmental lecturer Lynne Cherry," The Tom Sumner Program, October 8, 2018 (interview begins at approximately 20:15 but don't miss Pat Boone's cover of Stairway to Heaven at ~9:30). Audio file (01:13:47 / 25.3MB). Audio file (01:15:10 / 25.8MB). "'When is this going to stop? ': Florida activist highlights devastating impact of algae blooms on wildlife," ABC News-Washington, December 9, 2018, by Stephanie Ebbs. Gene D'Adamo, Nina Mason Pulliam Charitable Trust, presents the Pulliam trophy to ProPublica's Abrahm Lustgarten. See many photos of the award-winners on SEJ's Flint Flickr group page. "Environmental journalists visit solar arrays in Lapeer," The County Press, October 10, 2018, by Jeff Hogan. Facebook video, by Louisiana Coastal Watch. "National journalists gliding into the Flint River see herons, egrets, kingfishers — and pride," East Village Magazine, October 10, 2018, by Jan Worth-Nelson. Audio file (01:11:02 / 24.4MB). "Deer Poaching in Wisconsin: Illegal Harvests in the Heartland," Media Milwaukee, December 14, 2018, by Ed Makowski. "Modern smugglers use social media to sell Chile’s ancient botanical riches," Knight Center for Environmental Journalism, Michigan State University, January 4, 2019, by Diego Almendras ("inspired by speakers I listened to"). "How Newark got lead in its water, and what it means for the rest of America," Vice News, December 18, 2018, by Sarah Sax. "Flint Justicia Ambiental" (video; in Spanish), A Primera Hora, December 10, 2018, by Andres Pruna. "As White House debates validity of climate report, local officials are already at work," ABC News-Washington, December 3, 2018, by Stephanie Ebbs. "Pipelines-Part 5," The Green Room, NPR-affiliate WEMU News, 89 One FM, November 30, 2018, by Barbara Lucas. "The Door Flint Opened: America's Drinking Water Crisis," Great Lakes Now/Detroit Public TV, November 1, 2018. Features SEJ members Anna Clark, Tom Henry, Leana Hosea, Bobby Magill, Roger Witherspoon and Nadia White. "3 years after Flint, lead is still a public health crisis," ABC News, October 31, 2018, by Stephanie Ebbs. "Ökowende per Unterschrift," Zeit, October 24, 2018, by Dirk Asendorpf. 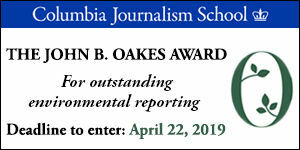 "Journalists challenged to make climate change today's news," Knight Center for Environmental Journalism, Michigan State University, October 22, 2018, by Alexandria Iacobelli. "How Solar-Powered, Mobile Water Purifiers Can Help Cities Cope With Bad Water," IEEE Spectrum, October 18, 2018, by Maria Gallucci. "Green Visions: the positive change from the Flint water crisis," KUMD/Duluth Public Radio, October 17, 2018. Adam Reinhardt interviews Dr. Mona Hanna-Attisha. "Closing the gap between climate change and local reporting," The GroundTruth Project, October 12, 2018, by Wilson Liévano. "Divining the true source of stories," Nieman Storyboard, October 11, 2018, by Madeline Bodin. "People of Color Vulnerable to Extreme Weather," Journal-isms, October 11, 2018, by Richard Prince. "The Flint Water Crisis and Beyond," The Quinnipiac Chronicle, October 9, 2018, by Anna Ciacciarella. "Environmental journalists depart Flint after "historic" conference in heart of water crisis territory," East Village Magazine, October 7, 2018, by Jan Worth-Nelson. "Michigan could see a green wave in November as candidates highlight water, environmental issues," ThinkProgress, October 5, 2018, by E.A. Crunden. "Journalists get firsthand look at Flint 4 years after water crisis began," MLive-The Flint Journal, October 4, 2018, by Ron Fonger. "From Michigan to the Nation – A Groundwater Emergency," October 2018, a collaboration between Bridge Magazine, Detroit Public Television's Great Lakes Now and Circle of Blue. Informed by PFAS Contamination: This Decade's DDT and other sessions in Flint. "NewsPro Magazine," October 2018 (PDF).